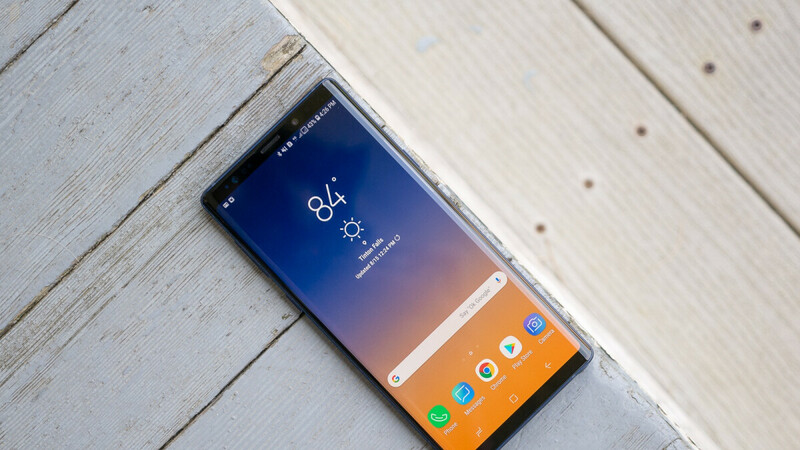 If you’re looking to upgrade from the Galaxy Note 8 to Samsung’s newer and substantially better Galaxy Note 9, you may want to give eBay’s Instant Selling program a try. The online auction and shopping website will offer you a $331 voucher right now for a used 64GB Note 8 in good condition, which you can then use to further mark down the price of a Note 9. That’s already more affordable than ever, thanks to top-rated eBay seller Never MSRP, which nicely and gradually discounted the latest S Pen-wielding flagship since commercially debuting a couple of months back. A factory unlocked SM-N960F variant of Samsung’s Galaxy Note 9 with 128GB internal storage and dual SIM connectivity was available for $770 less than two weeks ago, and now it fetches an almost impossible to turn down $729.99. That’s a whopping 270 bucks off the powerful handset’s list price, and mind you, both Samsung and Best Buy are currently charging the full $999.99 for an unlocked Note 9. Granted, you won’t be getting a valid US warranty from Never MSRP, but otherwise, it’s going to be really tough to outshine this newest bargain. Until the eBay seller outdoes itself again, that is. At the time of this writing, the best competing deals are still Best Buy’s free 32-inch TV and Samsung’s Gear 360 or Gear VR gift. While the savings are not technically bad in those cases either, the freebies aren’t exactly the most in-demand products out there. Back to eBay, it goes without saying the Galaxy Note 9 units on special offer today are brand-new, “unused, unopened, and undamaged”, shipping for free nationwide in their original packaging with GSM network support, Exynos 9810 processing power, 6GB RAM, a gargantuan battery, great cameras, and that smarter-than-ever S Pen in tow. Bottom line, you get a whole lot of bang for your 730 bucks here, although you’ll have to settle for either a Midnight Black or Ocean Blue model. The Lavender Purple and Metallic Copper are already out of stock. A signof flop and a sign that android can’t buy expensive phones. Huh! Samsung phones are full pop and circumstances! Yes they are beautiful to look at, and have a lot bells and whistles, that ultimately destroy the Android experience. Android didn't fail, Samsung did! This comment is a sign of you being an imbecile. EBAY is the one lowering the price, not Samsung. SMH.